Who ever said backpacks are just for school children clearly doesn’t have any children or is not used to hiking or going out in nature. Apart from being extremely useful, we can see that for a couple of seasons backpacks have become the designers’ favorite storing objects, in favor of tote bags or clutches. The reason is that they are far more comfortable to wear and provide enough room to store all your essentials and a little extra. What usually didn’t fit in your small-sized bag you can now easily carry with a cool backpack for adults, regardless if you’re a boy or a girl. However, finding the right item to guide through all your future trips could prove a difficult task, especially if you don’t like shopping or don’t have the necessary time to go through stores on your own. If you fancy buying yourself such a backpack or wish to offer it as a gift to someone, hopefully, this comprehensive guide will help you during your shopping process. When searching for cool-looking backpacks for adults, it is important to take into consideration some key aspects – the fabrics, the utility, the purpose for which you are buying such a backpack and, of course, the size, and the price. As previously noted, it is highly important to know what you are looking for whenever deciding to go on a shopping spree because you will avoid spending money on useless stuff or things you may later regret. Thus, we consider the following aspects as being mandatory for anyone who is looking for cool adults backpacks. Whether you are opting for leather backpacks, canvas backpacks or the ones made from other fabrics, it is important to know a few aspects about each one. Obviously, leather backpacks will last longer and come in countless sizes, shapes, colors, and patterns. However, they are slightly more pretentious and may not fit all occasions. On the other hand, regular canvas backpacks are the ones we used to buy and carry around in high school, and their main benefits are that they are extremely lightweight and won’t cost you a fortune. Obviously, you can choose to personalize them as you please and choose from hundreds of patterns, colors, and brands. However, canvas backpacks are known not to be as long-lasting as those made from other fabrics and won’t resist harsh weather conditions either. In other words, they are cool for your daily trip to the job, a night out or a music festival during the summer, but don’t expect it to last you a lifetime, especially if you live in a humid area or plan on storing heavy stuff in it. Probably one of the first things you should consider when buying yourself such a storage item is the exact purpose for which you will be using it. It also helps reading some of the best backpacks reviews on the Internet and search for sale items if you don’t want to spend a fortune. Whether you choose one to go hiking, stargazing, or just one to take around during your regular weekend trips, identifying the exact purpose will save you time and money on your next acquisition. Thus, you will know for sure whether to check for the best hiking pack, the perfect weekend-getaway pack, your gym backpack, or your everyday carrying pack if you are the proud owner of an infant or a toddler. Ladies and gents, size does matter! In more things that we would want to admit, size does matter. It is also the case of a useful backpack. Obviously, the size of your future carrying item is strongly correlated to the purpose of the bag. For instance, if you are a true nature lover and spend plenty of weekends into the wild, the ideal backpack for you would be the one of a traveler, large enough to store all your essentials for a two-day trip and still lightweight enough to easily carry it around. A similar algorithm applies to parents (well, mostly mums) who need to store all the kid’s essential items (plus a full-size nursery, a mobile hospital, a full restaurant, and a playroom) in just one backpack. However, don’t fool yourself into thinking that this one will be lightweight; you will probably end up carrying the weight of your annual trip to Barbados luggage. 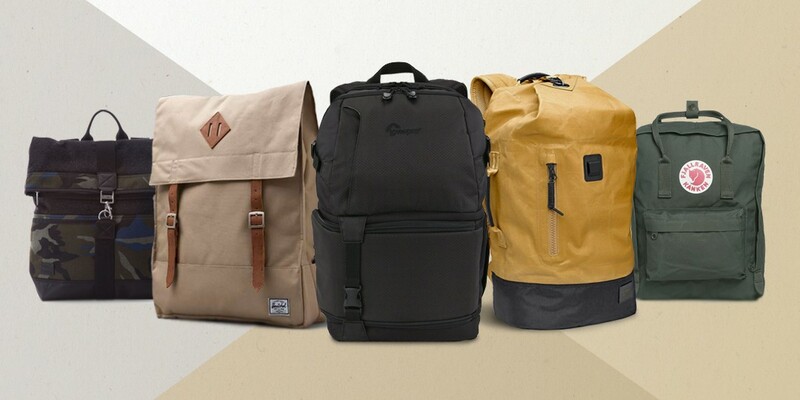 Whether you are searching for the coolest backpacks for men or you’re interested in the latest fashion designs, you need to keep in mind the utility of your storage item. The utility is given both by the size and the purpose of your future backpack, but also by other features such as special pockets, compartments, extra storage, fabrics, etc. If you plan on taking the backpack with you to the next music festival, you will require plenty of pockets and a unique locking mechanism to prevent smuggling. Extra pockets are also helpful if you travel a lot or have small kids and need to carry lots of creams, lotions, diapers, a new set of clothes, and others. Also, if you plan on carrying around heavy items, we suggest opting for packs with thicker stripes and braces to support the weight of your essentials. Last but not least, apart from utility and size, a cool backk should also be fashionable. Regardless of your clothes style, we think black backpacks will always make a perfect choice, both for girls and boys, and will fit all occasions, casual or glam. 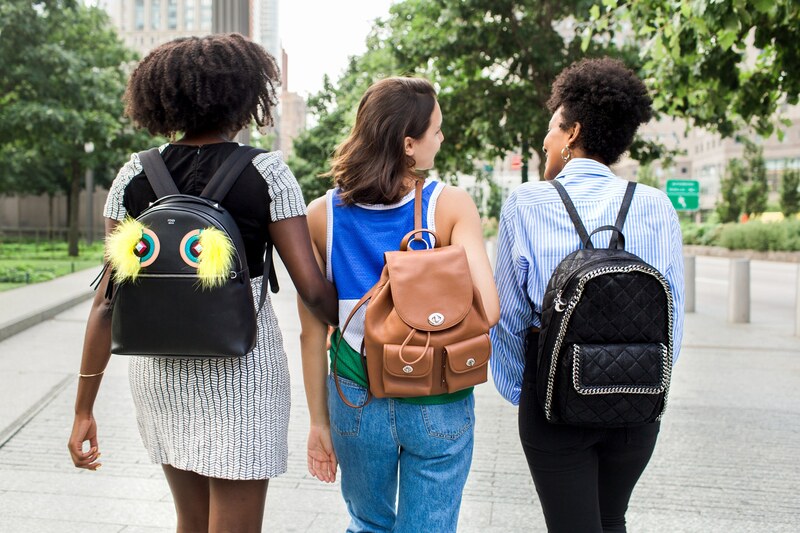 You can also opt for stripes, pins, glitter, strong colors, cool fabrics, 3D prints, amazing designs or paints, depending on your personality and decorate the backpack with pins for a vintage style. Denim backpacks also make for a cool and relaxed style over the weekend but can also easily fit into a casual office outfit or a night out with your friends.